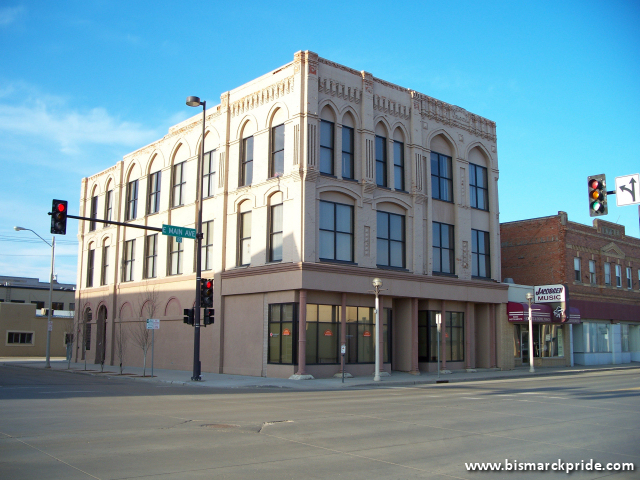 Completed in 1883, the Dakota Block is a historic building located on the northeast corner of 2nd Street and Main Avenue. One of the few buildings to survive the 1898 fire, it is likely Bismarck's second oldest surviving building, after the log house at Camp Hancock. It is a Gothic Revival style. Notable tenants have included Bismarck Grocery Company and Feist Electronics. It underwent a $500,000 renovation in 1999 with $47,000 in TIF funding.